British welfare campaigner who is primarily remembered for her work related to British concentration camps in South Africa. 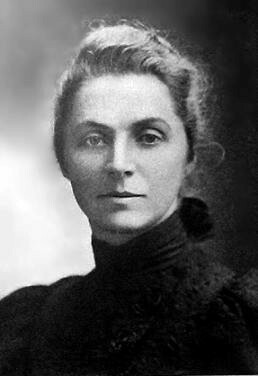 In 1899 Emily Hobhouse was appointed secretary of the South African Conciliation Committee, which was a group that opposed the British government policy regarding South Africa. Hobhouse was a humanitarian and pacifist who came to visit South Africa in December 1900, during the Anglo Boer War. Hobhouse arranged a mass meeting in London in June 1900 where women protested against the actions of the British army in South Africa. Three months later she founded the South African Women and Children Distress Fund to collect money for Boer families. In South Africa, Hobhouse visited concentration camps set up by the British in the OFS and Transvaal. She showed the Boers held there kindness and handed out clothing and supplies. On her return to Britain, she voiced her opposition to the concentration camps and reported on the conditions in these camps. She focused her campaign on the liberal opposition, and in this way was instrumental in the government decision to send a group of women, under Dame Millicent Fawcett, to look at the situation. Hobhouse was not part of this government commission, but it was her actions that put into play the forces that led to reform. When she attempted to return to South Africa in 1901 she was arrested in Cape Town and sent back to Britain. She returned again after the war and helped set up home industries in the OFS and Transvaal to help rehabilitate the Boer families. Hobhouse was also concerned about the Indian situation, and was upset that the Boers suppressed them. She had expected them to act differently after they had fought for their own freedom. She assisted Gandhi when he needed it in 1913. In 1913 she was invited to unveil the Woman’s Monument in Bloemfontein, and bad health meant she could not return to Britain immediately after the event. She died on 8 June 1926 and had her ashes spread at the Women’s Monument.